West Bay Exploration Company is committed to exploring and producing local conventional petroleum resources to contribute to the vital role that hydrocarbons play as a transitional energy source. Prudent and thoughtful management of natural resources carries great responsibility to protect ecological health. It is our goal to cultivate energy resources safely and efficiently to minimize impact while recognizing our duty to be responsible stewards of the environment. During West Bay's 30 years of experience operating in Michigan, many of our safety and environmental innovations and procedures have been adopted by the state's Department of Natural Resources as standard regulations. West Bay's mission is to help meet the energy needs of today while safeguarding the interests of future generations. As consumers of a quarter of the world's hydrocarbon energy supply, we in the United States must be willing to participate responsibly in the production of oil. We can explore and produce in the safest and most technologically advanced way possible to ensure the protection of both the environment and the population. 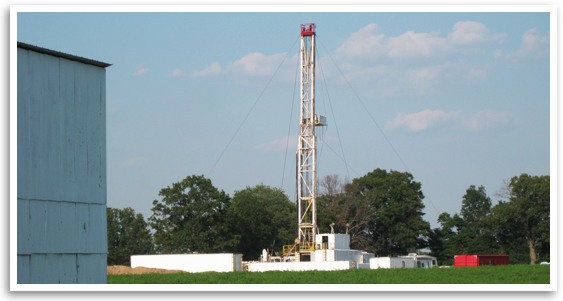 West Bay drills conventional oil wells in formations with natural fracturing and porosity. We work closely with mineral owners and local and state officials to make sure that all concerns and interests are addressed. We take pride in our ability to maximize recovery with minimal impact in both rural and urban environments. We very much look forward to partnering with you to cultivate your potential mineral resources.